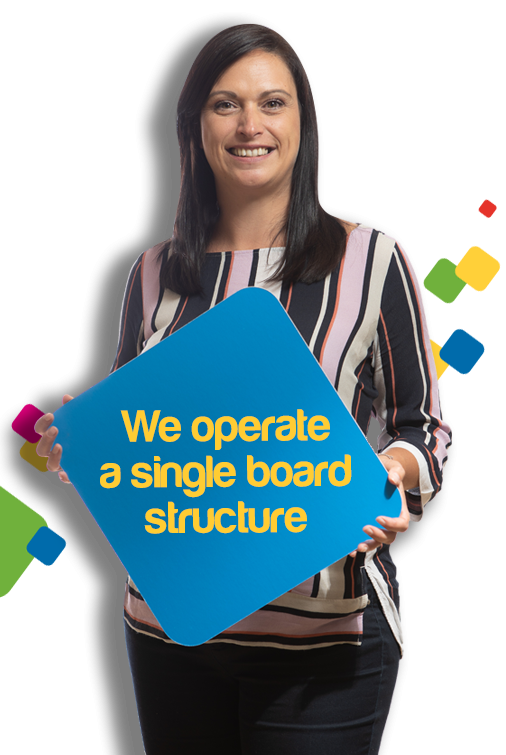 THE COMPANIES WITHIN PROGRESS HOUSING GROUP THAT ARE REGISTERED PROVIDERS OF SOCIAL HOUSING OPERATE ON A SINGLE BOARD STRUCTURE. Our Group Business Plan and Value for Money Strategy also reflect this approach. All of the above companies are registered companies under the Co-operative and Community Benefit Societies Act 2014. All are registered with charitable rules, except for the Parent company, which has non-charitable rules. The board has a number of sub-committees to which certain areas of responsibility are delegated, for example Audit Committee and Remuneration and Nominations Committee. The board has the ability to create working parties with specific terms of reference to deal with particular tasks and projects. Key Unlocking Futures Limited is a company limited by guarantee and is a charity registered with the Charities Commission. Key Unlocking Futures Limited has a separate Board of Trustees that operate independently of the Registered Provider companies. It operates within a legal framework, that joins Key Unlocking Futures Limited into Progress Housing Group. The Key Unlocking Futures Limited Board of Trustees also includes a representative from the board of the Registered Provider companies. Concert Living Limited was incorporated on 7 April 2017 and is a company established to deliver homes for outright sale. This structure provides a degree of separation between the elements of the business that are regulated by the Regulator of Social Housing (RSH) and those are subject to other forms of regulation, for example by the Charities Commission. The Registered Provider boards and Key Unlocking Futures Limited have adopted a Code of Governance, which they adhere to and compliance is tested on a regular basis. The Group also has an adopted form of compliance reporting which covers regulatory, legal, statutory and other compliance related matters.